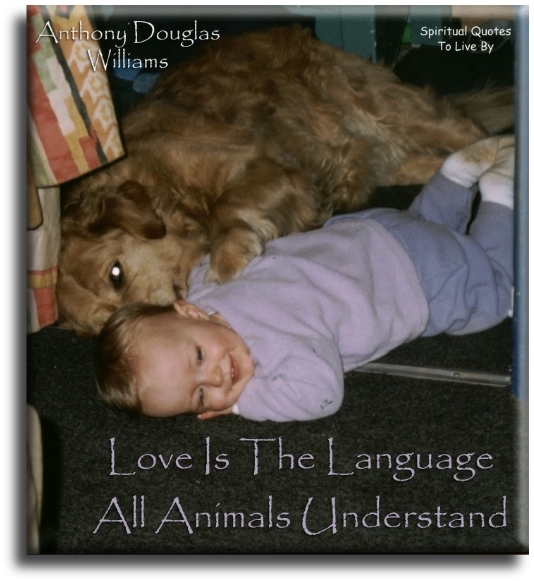 Author Anthony Douglas Williams was born in Ontario, Canada. Before beginning to research and write his book 'Inside The Divine Pattern' Anthony was in the film industry. He opened his own family film distribution company in the early 90's as he was against the increasing violence in mainstream films, he was also the editor of a film industry magazine. 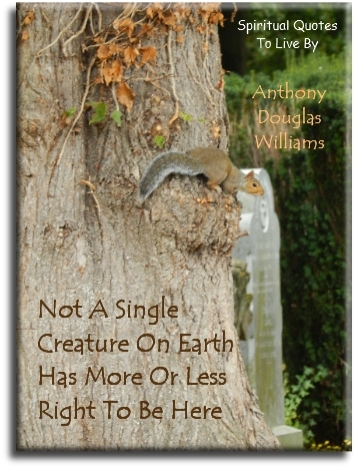 Anthony believes that he was led to write his book and reveal the Divine messages hidden in lost knowledge and ancient mysteries, showing links between modern scientists and ancient philosophers. All animals are born with innocence, curiosity and love. 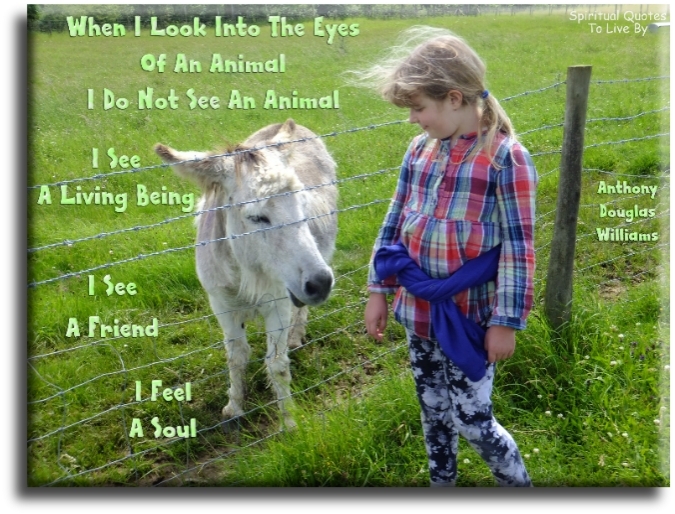 Beyond the fur, hair and feathers of other animals is a living being, endowed with emotions, feelings and a living Soul. Creating new paths requires moving old obstacles. 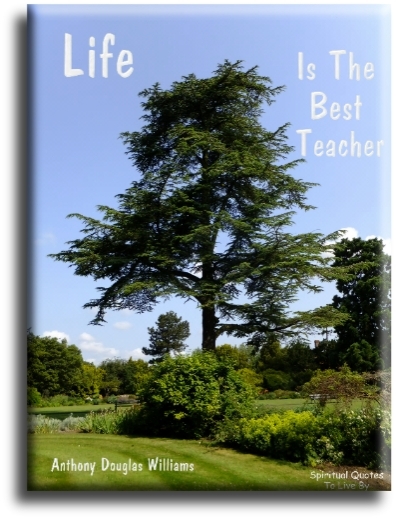 Let your life control your age. God did not create religion. God is not an act of our imagination. 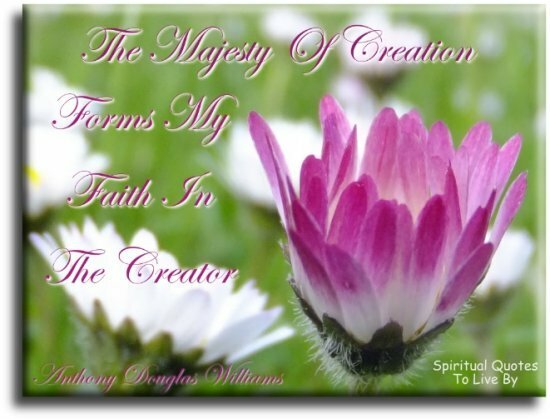 We are an act of God's imagination. 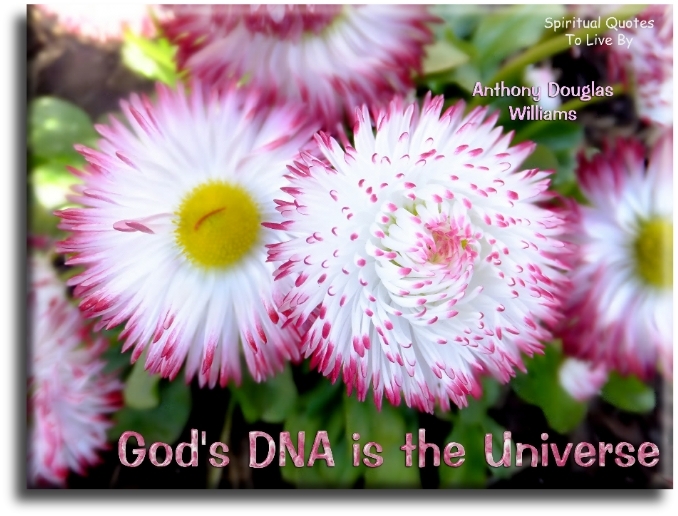 God's DNA is the universe. Hidden paths can't be walked without moving obstacles. 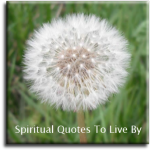 If a thought or an action does not feel right, it is a caution flag from the Soul. If we seek a positive outcome, we must begin with a positive attitude. If you live with love... You will love living. If you want to be happy... You will be. 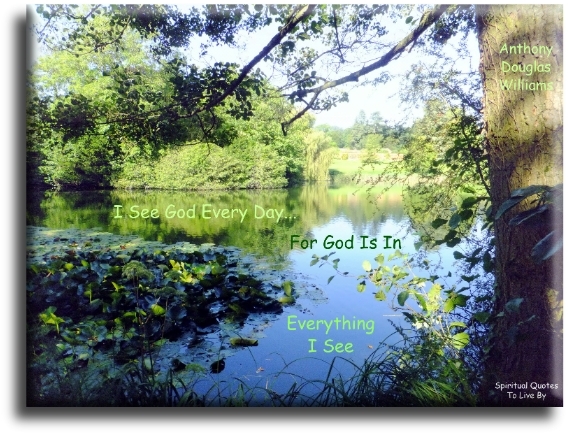 I see God every day... For God is in everything I see. Kindness and love open the doors to one's Soul. Life is a dance, enjoy every step. 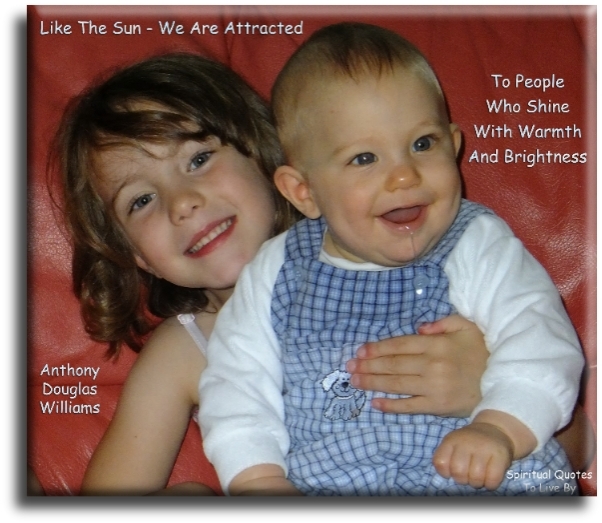 Like the sun, we are attracted to people who shine with warmth and brightness. Lost Souls fight nature. Spiritual Souls embrace nature. Love has the power to change everything. 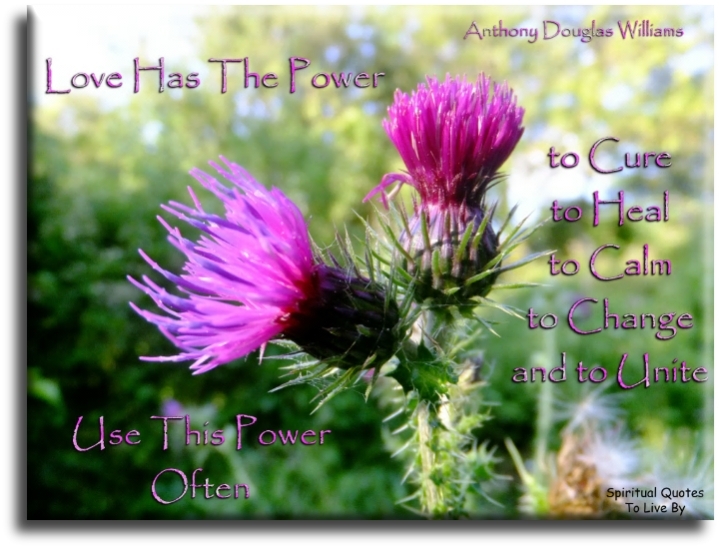 Love has the power to cure, to heal, to calm, to change and to unite. Use this power often. Love is the secret password to every Soul. Our purpose is simple... To Love. To love each other, to love all life and to love our Earth. Our words reveal our heart, our actions reveal our Soul. 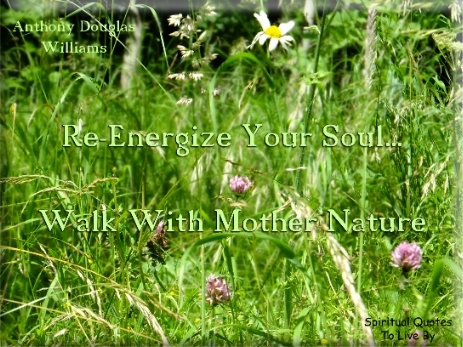 Re-energize your Soul... Walk with Mother nature. Shine your light on love and truth and your Soul will glow. Show your love wherever you go, and enjoy love's blossoms whenever you return. Spirituality is not a religion... It is a way of life. The determination and conviction to succeed can only come from within. The miracle of life is enough for me to believe in miracles. The more time we spend with Mother nature, the more we fall in love with her. There are places on Earth where we can catch a glimpse of Heaven. Those that will always help a friend, will always have a friend. Travel the road of love... and you will never be lost. Treat other animals as friends and they become friends. Treat other animals as family and they become family. Give other animals your love and they will love you in return. Truth seeks light, lies seek shadows. We can't touch love... but we can certainly see love, feel love and give love. 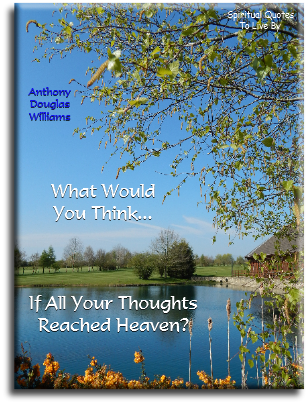 What would you think if all your thoughts reached Heaven? When one forgives.... It frees two Souls. When our actions are based on good intentions, our soul has no regrets. With each person our heart loves, our Soul becomes stronger. where you can buy his book Inside The Divine Pattern.